Cars themed jump house. 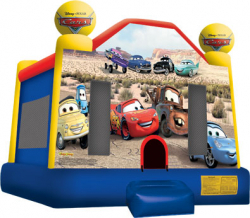 Large 15′ x 15′ bouncer. Also available to rent as a combo bounce, slide and play!